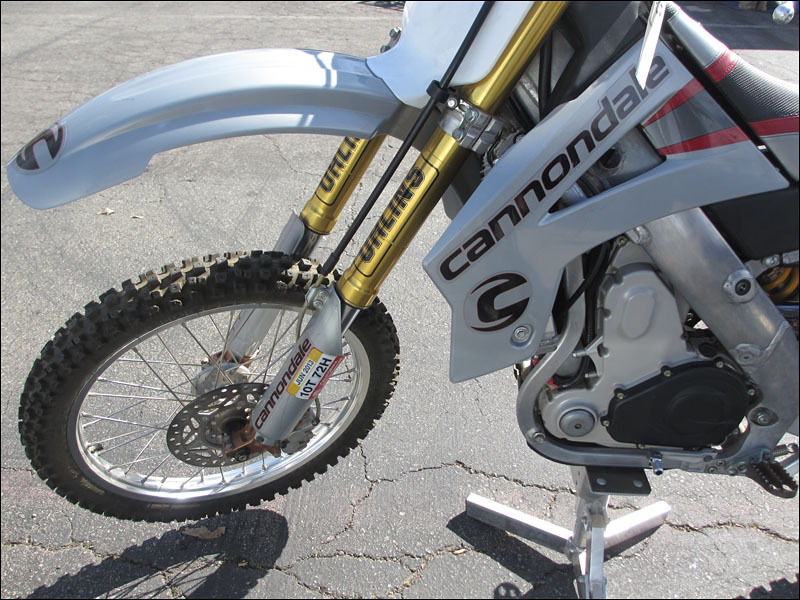 The Cannondale dirtbike I saw this weekend had the original tires on it and sold for $2,400. There are numerous reasons why this dirt bike is a huge step forward in dirt bike engineering. It has the intake facing forward and the exhaust facing rearward 10 years before Yamaha executed this "revolutionary" design. The first fuel injection production dirt bike. Electric start only, lightweight, minus the kickstarter and it's hardware. 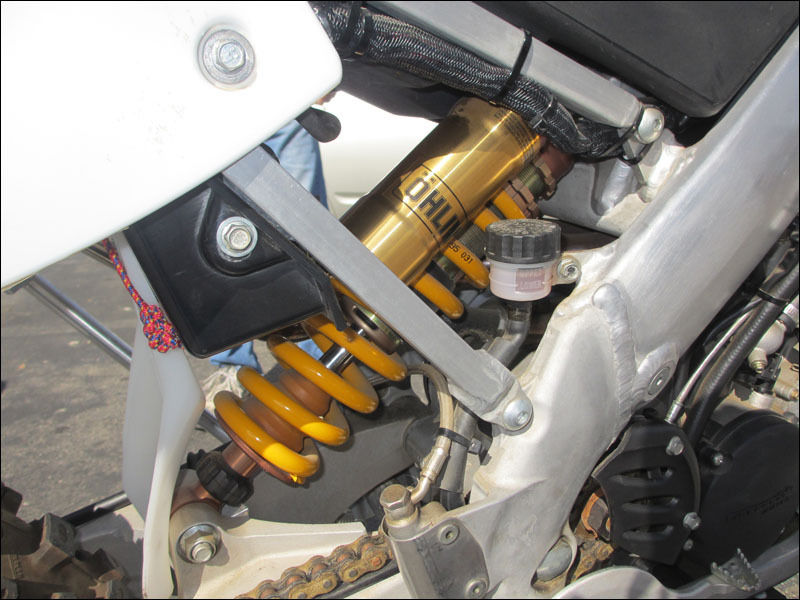 Ohlins suspension which is a huge leap forward in valving, hardware in general throughout, serviceability and tunability. The engine has it's own crank case oil separate from the transmission. Link-less rear suspension which is lightweight but never came to have better performance than the full link rear setup.